Iona Blog : Liebster loving... learn a little more about me. 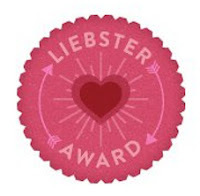 The Liebster Blog Awards is awarded to bloggers, by bloggers. It helps spread the word about blogs with less than 200 followers and it's a brilliant way to find new faces! I was nominated by the lovely Amy from srslylou and I'm very excited to take part! They must answer the 11 questions the tagger has set for them. They must create 11 questions to ask the bloggers who they tag. They must choose 11 bloggers to tag with less than 200 followers. I have lived in 19 houses in my life, even though I'm only 20. I am the oldest of three children; I have two younger brothers, who despite being annoying, I love to bits. Coffee is an essential part of my daily life, I have a serious caffeine dependency. The longest time I go without checking my various social media platforms is when doing a shift at work... it's torturous. I enjoy working in retail though I can't wait to one day not have to (as I'm often heard saying) "sell dresses" or work Boxing Day. I have lived in 5 countries; Scotland, England, Northern Ireland, Germany and Australia. My favourite music genre is most probably folk, though I have rather eclectic music taste; I do love Laura Marling and Mumford and Sons though! My maternal side of my family are Greek, my Great-Granny was Greek and met my Great-Grandpa during WW2. 1. What was the first tape cassette/cd you purchased? The first CD I owned was Bjork's album, but the first one I bought was the single 'Dr Jones' by Aqua; such a 90's kid! 2. Favourite tv show? I don't necessarily have a favourite though New Girl and Girls are probably my favourites at the moment. All time favourite possibly Criminal Minds. 3. Your favourite book? 'The Shadow of the Wind' by Carlos Ruiz Zafon, I love magical realism as a literary genre and this is my favourite book ever! 4. Do you still live in the same town that you were born in? No, in a nutshell I don't really have a hometown, I've moved all over my entire life. 5. If you could visit anywhere in the world, where would you go? I want to visit so many places, next place I'm planning to go is most likely Berlin or Paris. But I would love to go to Thailand, it looks so beautiful. 6. What's your favourite biscuit? My favourite biscuits are the viennesse ones from M&S. 7. Jumpers or cardigans? Jumpers, I have a ridiculous amount of jumpers! 8. What is your favourite genre of music? hmmm hard to pinpoint, probably folky music. 9. What is your most treasured item of clothing? my gold glittery Kurt Geiger's they were a Christmas present to myself and are so beautiful! 10. Your most purchased make up product? Nail polish remover! I go through so much, but I love the Bourjouis one which you dip your finger in. 11. Your favourite thing about blogging? Getting to know other bloggers (especially the #scottishbloggers) and being a part of the 'blogger family' everyone is lovely and so welcoming! Going to my first event last month was lovely! What is your profession? If you are a student, what are you studying? What did you want to be when you 'grew up'? Is there one thing you always take with you when travelling? What tip would you give to other bloggers? What excites you most about Christmas? Is there a colour you wear most? And if so what is it? Can't wait to answer the questions, and meet some lovely new bloggers. Aw thank you Iona! Will do this at some point over the weekend :) hey to all the other chosen bloggers! Loved reading this! I have a total Jimmy Carr laugh too!